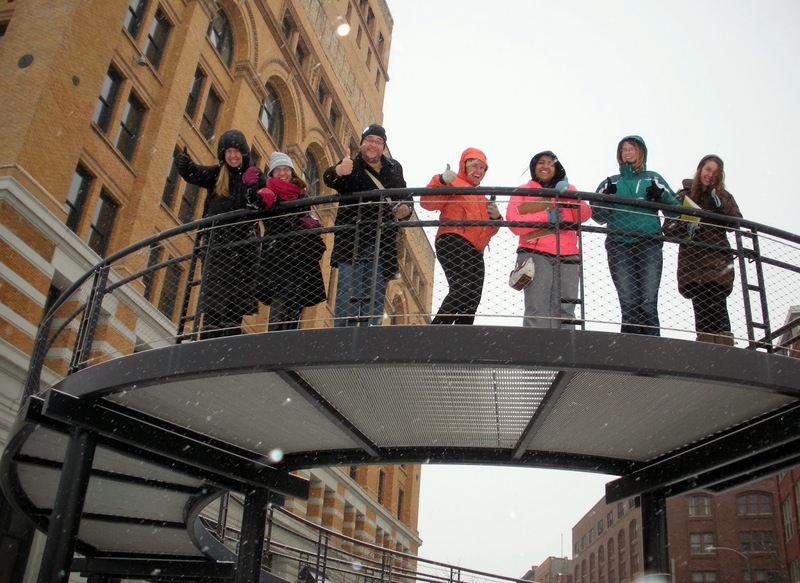 A group of urban planning graduate students from University of Illinois have just returned from Milwaukee—but this wasn’t your typical weekend excursion. They spent their time interviewing government employees, business owners, members of the community, and others affected by clean-up efforts on the Milwaukee Estuary, where industrial toxins threaten water quality and aquatic wildlife. And the information they collected will go a long way to ensuring that future restoration and remediation projects across the region leave nearby communities stronger than they were before. It is all a part of an IISG-funded project investigating the relationship between sediment removal projects and a community’s vulnerability to environmental hazards like natural disasters, pollution, and changing weather patterns. Social vulnerability depends on a lot of factors—average income, education levels, public engagement, and more. Using the Milwaukee Estuary and Grand Calumet Areas of Concern as models, U of I researchers Bethany Cutts and Andrew Greenlee are investigating how these factors change—for better or worse—when a community becomes involved in sediment removal projects. This project stands apart from much of the research on community vulnerability. It is localized, focused on vulnerability over time, and supplements census data with qualitative information on community attitudes and perceptions of remediation. Because of these differences, its results will be a significant boost to the tool government agencies currently use to determine and reduce social vulnerability, the Social Vulnerability Index. Cutts and Greenlee are calling their tool the Social Vulnerability Index Plus (SoVI+). When it is done, SoVI+ will help groups involved in remediation, including IISG, better prepare communities for the aspects of cleanup that may increase vulnerability—like restricted road access and heavy truck traffic. EPA could also use the new tool to prioritize sediment remediation in areas where it will be most beneficial. Work is just beginning, but the project promises a lot of data collection and analysis over the next few years. That is where the students come in. They are all part of the Workshop in Urban Environmental Equity, an inter-departmental course focused on identifying historical demographic changes in the researched regions, as well as developing and piloting interview strategies that Cutts and Greenlee will continue to use well after the course is complete. Beyond being a big step forward for the research project, the workshop provides a unique opportunity for students to be a part of the design and implementation of a multidisciplinary, mixed-method research project—what one student called “the holy grail” of research. Situated at the intersection of social and economic shifts, environmental restoration, planning, and policy, the course and the research can have tremendous benefits for ongoing and future remediation projects and the coastal communities. 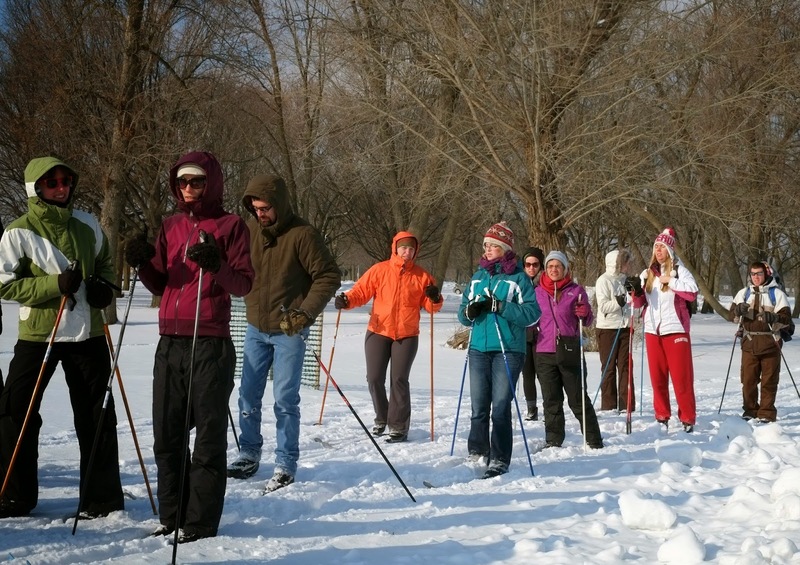 Photo B: U of I students take part in a “Ski the AOC” event to learn more about ongoing remediation efforts and the community.